If you've read a very recent review that I did on the Nasi Ayam Hainan Restaurant (like, 2 posts ago) I've mentioned that I've discovered the eatery through banners being strategically placed around town. 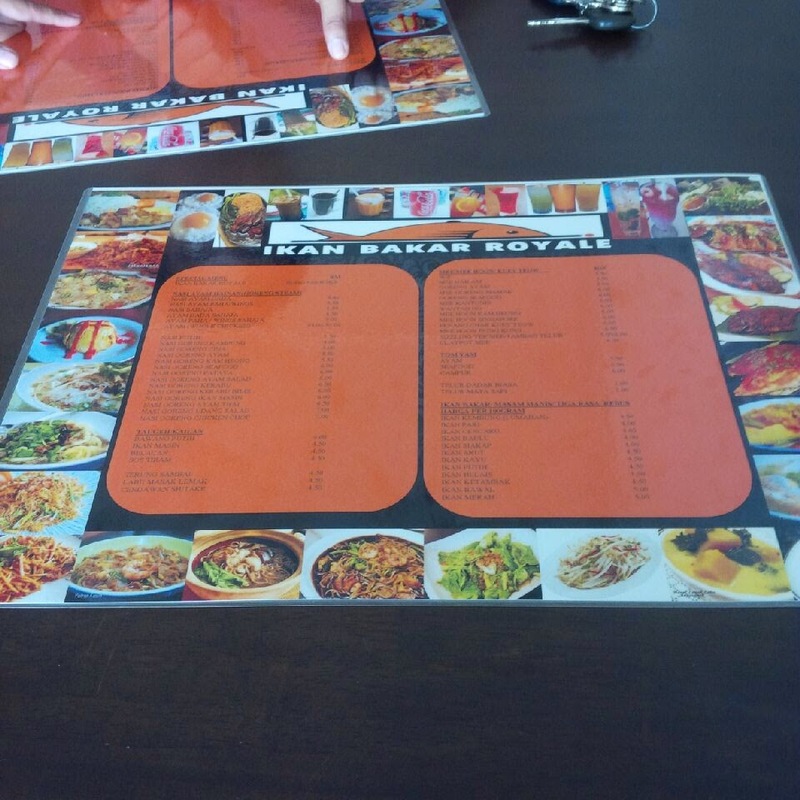 So a few days after that, we've again discovered a new place being opened called Ikan Bakar Royale on the same area as the previous restaurant, again through banners. Not suspecting anything (well, can you think straight when you're on an empty stomach? Yup, thought so) we followed the direction to this new establishment. And to me and my partner's surprise, we ended up on the same place as the Nasi Ayam Hainan eatery. Heck, it is the exact place, only now it is known under a different name. I know I have a not-so-good experience with the place before, but I've decided to give it another go since I'm already there anyway. And based on the new name, I was hoping for an improvement on the menus as well. 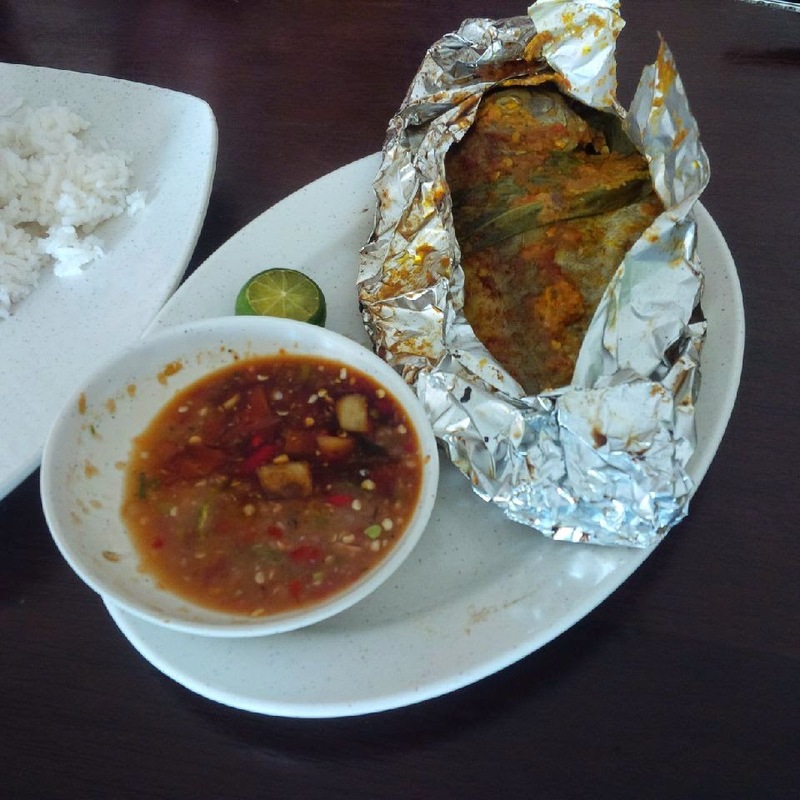 So we've decided to take on their Ikan Bakar Royale set (which consist of rice + a grilled Ikan Bawal Putih aka silver pomfret fish). It is good to note here that should you decided to try on the latter, the only choice of fish would be said silver pomfret fish. If you wanted other types of fish, then different charges may apply. My partner is a grilled fish freak and yes, he's being very critical when it comes to his favourite dish. According to him, the fish was only cooked well on one side (the lower side) and not so much on the top side. Probably because the cook did not turned the fish accordingly throughout the grilling process. But hey, there's always room for improvement right? I tried on their Nasi Goreng Kerabu Bilis which resembles a Nasi Goreng Kampung visually and in taste. I'm not saying that it's not good (in fact it's has some flavours there) but again, the very simple look does turn me off a bit. Oh and don't worry if you're a fan of their previous Nasi Ayam Hainan dish since it's still available to order. Hah! So you guys thought that I'd forgot all about breakfast now, do you? As far as I can remember, I only posted one such places before and you could say that this place that I'm about to review is 'related' to the previous one. It's a bit difficult to go through the history of the once most popular breakfast joint in Tawau (all I can say that it has something to do with 'internal family woes') but the Kedai Kopi Amat Mee Tauhu is still standing until today despite the shifting of its ownership. It might be situated around the same area as its biggest rival, but the place has some very loyal patrons that still flocked to the place up until now. The strictly 'fried noodles & tofu only' shop might not have that many choices when it comes to serving you breakfast. But I personally thought (and yes, I know a lot of Tawaurians will probably disagree) that the quality and taste of their Mee Goreng, Tauhu Kecil and Tauhu Besar (2 types of tofu commonly found in any breakfast based 'kedai kopi') are better than their rivals. Maybe it's because I do not like standing around to beat the crowd for a place to eat (trust me, this place is very mellow due to their very small fan base as oppose to said rival) or maybe because my taste buds are different but I do recommend you to at least try them out to decided it for yourselves. It's a Sunday afternoon and while driving around town, me and my partner saw this banner by the roadside promoting a place called Nasi Ayam Hainan (Cina Muslim) and we're definitely intrigued. So off we go to the Ba Zhong commercial area and a quick stroll in front of the shops facing the sea, we immediately spotted the place. Now at first I thought that the name of the restaurant was something else, since it's pretty weird to have a restaurant named after a particular dish. But I was apparently proven wrong and yes, that's actually the full name of the joint. Pretty unique huh? When we went inside, the place was not particularly crowded but there're already a few tables that had been occupied. But upon close inspection, we notice that (yup, I actually felt as if I'm presenting something for my boss during a meeting session here, hahaha...) some of those 'tables' were occupied by relatives (or close friends) of the owners. Which is not a big deal, if only they didn't kept bothering the waitresses and cooks with their personal 'demands' every 5 minutes. Yes people, I'm officially annoyed! Because of this, one of my food order was accidentally forgotten and hence ruined my mood to eat there. 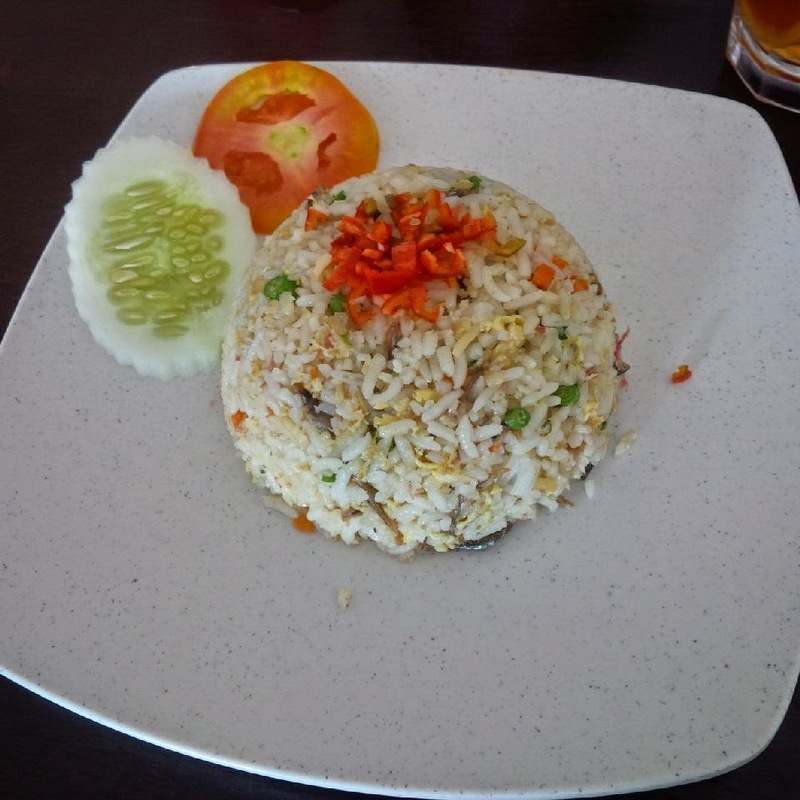 But we did ate their Roasted Chicken Rice (my partner said it's okay at best) and their Nasi Goreng Kam Heong (which despite its simple looks, was actually very flavourable). Their homemade chili paste was also something worth noting, since it's actually spicy and has a nice taste to it (not like the usual tasteless, 'spiciless' pastes elsewhere). Now I do wish that I've also tried their Fried Bean Sprouts with Salted Fish but it got lost in between those 'demands'. Okay, so if you've been reading my previous post, particularly about a restaurant called Arabian Fried Chicken, then you might realize (or not) that the restaurant has closed its doors permanently. So currently replacing said restaurant in its place (yes, its actual place) is Restoran Maju Bistro. The 24 hours eatery (might) be owned by the same people but at least they're attempting to broaden their menus in this newly reopened joint. 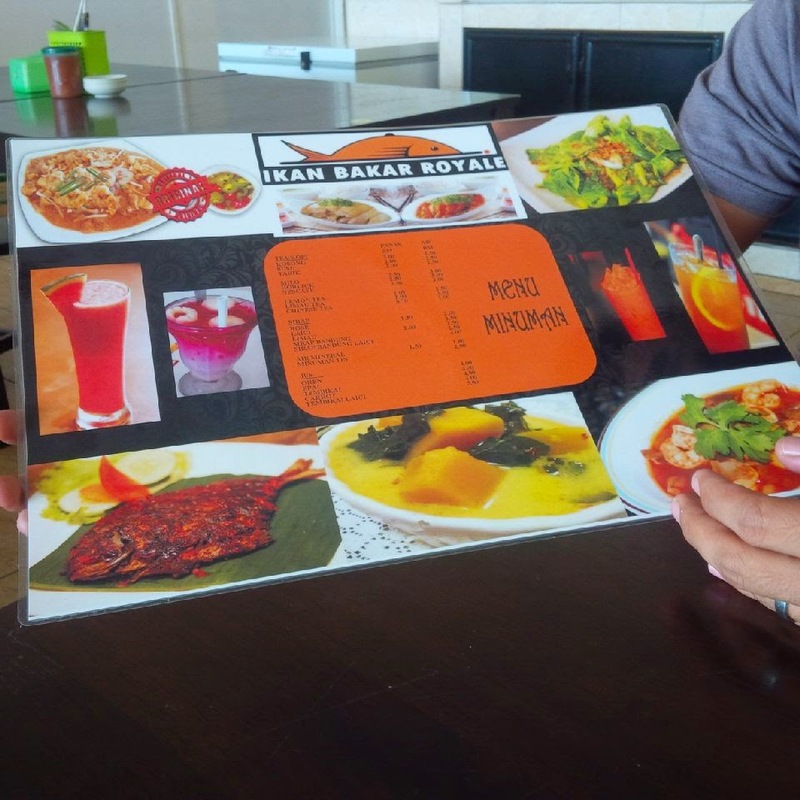 And just to 'repromote' the place, this restaurant is located on a short stretch of building right in front of MB Hotel and just behind Marco Polo Hotel Tawau. With the revamp of their menu, you won't be seeing those dreaded (Thank God!) 'fried chicken' anymore but instead a variety of Indian, Chinese and Malay dishes. Well, at least that's what they've been advertising on their signboards. When my family and I went to the place, we decided to try out their Nasi Briyani Ayam (which looked and tasted exactly like when it's still known as AFC - which only proves my earlier ownership theory), as well as their Nasi Campur (my parents tasted them and they said that it's okay but can be improved). Nothing much to say though since the place is still trying to find 'itself' (fancy me with the semi-motivational speech) and most of my comments from my previous post still apply. Now let us take a trip further from our usual comfort zone and visit (or in my case, revisited) somewhere a bit 'out-of-town'. 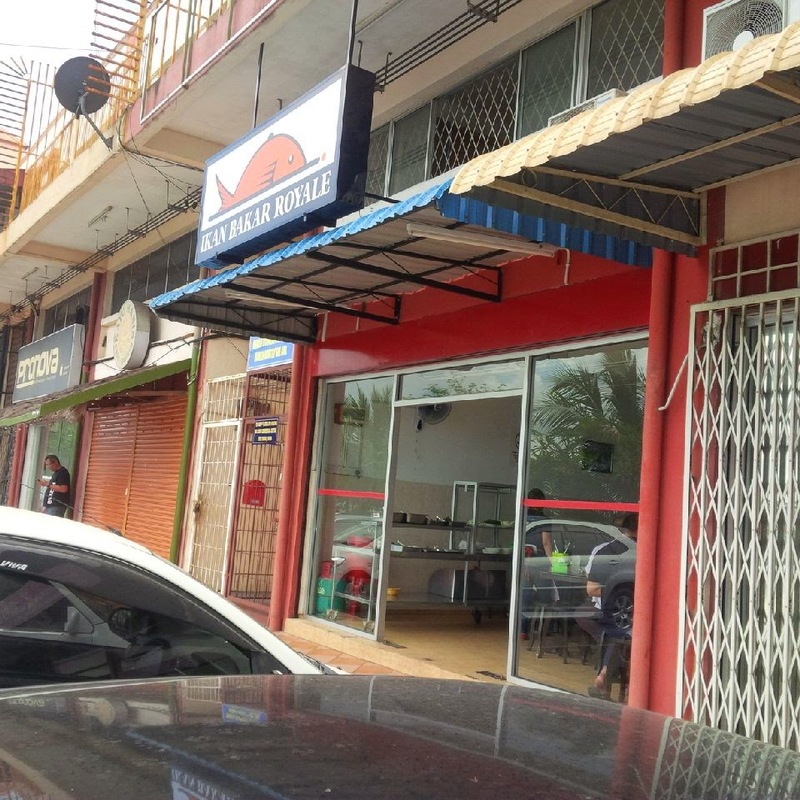 The main branch of Restoran Maskur is located beside the main road of Jalan Merotai, a good 12 km outside of Tawau's main town area. But don't fret as they'd also had several other branches across Tawau (3 so far and counting) and are run by Mr. Maskur's (I'm just taking a stab at the owner's name) children. But if you want to taste 'the best' (or so people kept telling me) then it is recommended that you visit the original at Jalan Merotai. This particular restaurant has established itself since I could possibly remember. But I haven't went back for probably a good 15 years (I kid you not) but I still remember the taste of their food. There's a continuous thing that always hinders me from giving this place its 'best in the world' stamp of approval and that's the excessive usage of salt. And even after all those years, I'm almost sorry to report that it hasn't change that much. 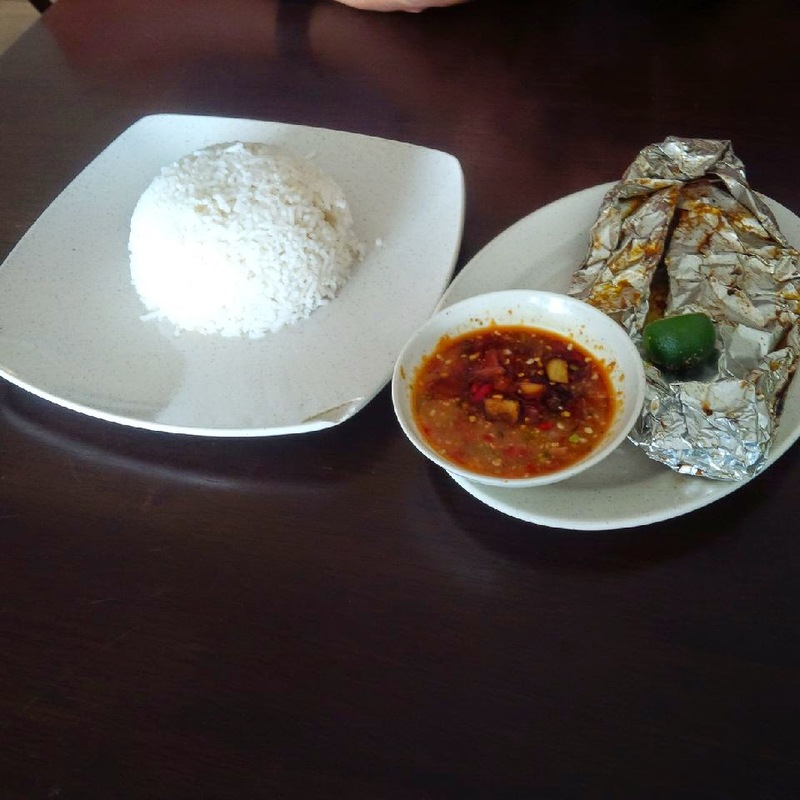 When we were there recently, we'd ordered some Nasi Campur for ourselves (because unfortunately none of us were in the mood for their pretty popular Sup Tulang - so sorry for having no visual on said dish) and it is salty (but otherwise actually pretty tasty) as before. But we'd also had their Pulut Kacang (which was good and in a nice portion for someone who doesn't plan on eating much) and several other kuihs (again, not in the pictures) and a light snack called Rempeyek (just okay in taste - not their in-house product though).